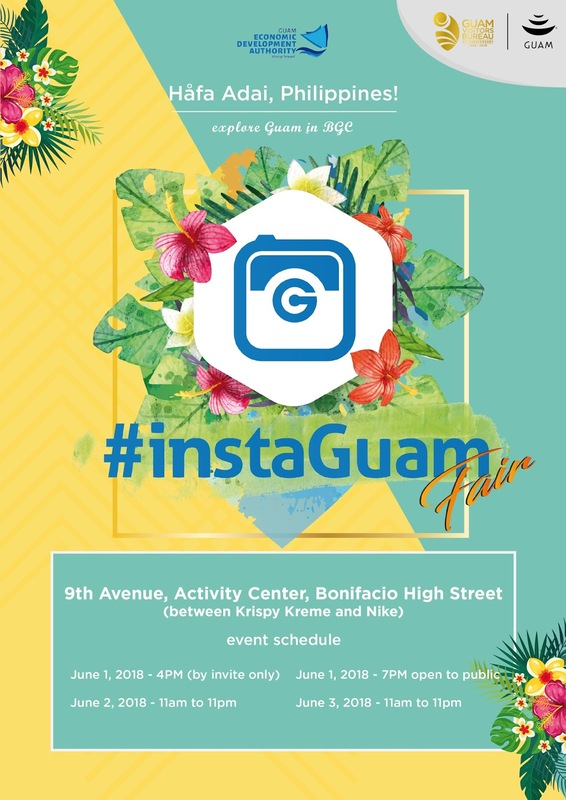 (Monday, May 28, 2018 – Manila, Philippines) Guam Visitors Bureau (GVB) will host the first-ever “#instaGuam Fair” in Manila to promote Guam as the closest U.S. destination for travelers from the Philippines. The three-day event will take place from June 1-3, 2018 at High Street in Bonifacio Global City (BGC). The theme, #instaGuam, comes from GVB’s 2018 global marketing campaign that promotes Guam as the perfect instant vacation destination from major cities in the region, while encouraging local residents and visitors to create their own story-driven content through the power of social media. Attendees will be able to experience Chamorro food and entertainment while having the opportunity to learn about the island’s various optional tours and sites. Interested travelers can also meet with travel agents and airlines at the fair. Additionally, U.S. Embassy representatives from the consular section will be present to answer any questions. Participating GVB members include Discover Guam, Micronesia Mall, PacTours, Bank of Guam, PhilGuam - USA Travel & Tours, Two Lovers Point, Pacific Island Holidays, Pacific Star Resort & Spa, and Hafaloha, with more pending. “We’re looking forward to showcasing all that Guam has to offer at our upcoming #instaGuam Fair. This is a great opportunity for potential visitors to taste our cuisine, learn about our history and culture, and interact with experts in the travel industry that can help them make plans to visit our island paradise,” said GVB President and CEO Nathan Denight. GVB has focused its efforts to promote Guam as a premium destination in the Philippines market. Visitors are drawn to Guam for its shopping, people, cultural similarities and close proximity as a U.S. destination. Last fiscal year, Guam welcomed nearly 20,000 visitors from the Philippines and seeks to attract more with the support of its travel trade partners and three main carriers servicing direct flights from the Philippines to Guam - United Airlines, Cebu Pacific Air, and Philippine Airlines. The Guam Economic Development Authority (GEDA) is also collaborating with GVB, using this event as a trade mission to expose the Made in Guam brand through the Guam Product Seal Program to potential Philippine visitors to Guam.